How It Works in 3 Easy Steps! (a) Three dates and times you are available to meet. *Coaching sessions are available via Zoom, Free Conference Call, or by phone (if using a mobile/cellular device, service provider charges may apply). Step 2: Fees are $99 per hour (or any part of an hour, 1-60 minutes; one hour minimum). You must pre-pay in order for the session to be confirmed. Click HERE to pay securely online. 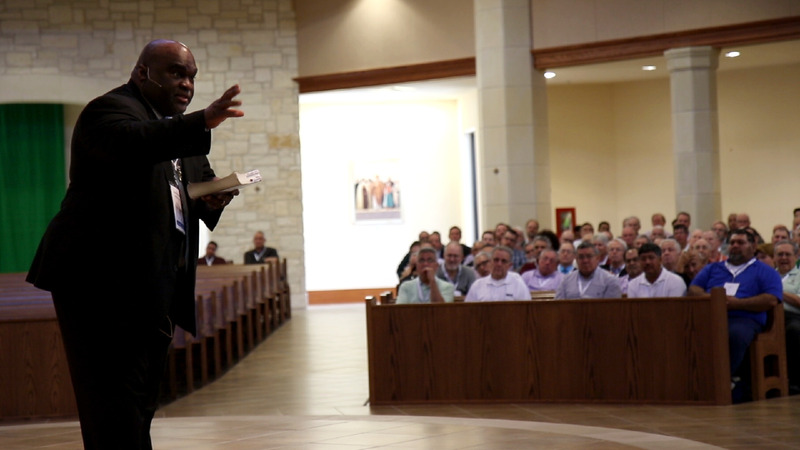 Step 3: Once payment is verified, you will receive an email confirming the date and time for the session, and how to connect with Deacon Harold. Step 4: Get empowered and inspired to find your “Why”! Deacon Harold is now offering One-on-One Life Coaching! * How do I know what God’s will is for my life? * How do I overcome the fear of failing? * How do I balance my faith, family, and professional lives? * I’m so busy. When can I find time to pray? * How do I heal the broken relationship between me and my son/daughter? * How do I rekindle the passion in my life? * I think God is calling me to be a professional speaker. How do I do it? 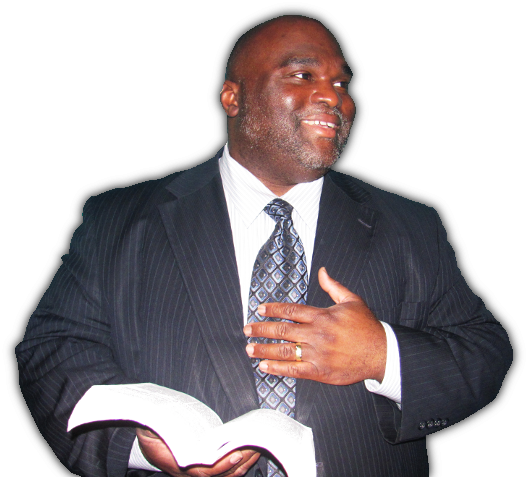 Life Coach Deacon Harold Burke-Sivers is the Founder and Director of DynamicDeacon.com, President & CEO of Servant Enterprises, Inc., Director of The Greatest Commandments, LLC, and a certified member of the John Maxwell Team. Deacon Harold holds a Bachelor of Arts Degree in Economics and Business Administration from the University of Notre Dame, and a Master of Theological Studies Degree from the University of Dallas. Deacon Harold uses his life coach skills and counseling experience to help people of faith from around the world take their lives to next level through his weekly radio broadcast and popular Catholic television programs. Deacon is featured on the award winning Chosen faith formation program by Ascension Press, author of the best-selling book, Behold the Man: A Catholic Vision of Male Spirituality published by Ignatius Press, co-author of the popular book Ignite: Read the Bible Like Never Before, and author of the acclaimed new book Father Augustus Tolton: The Slave Who Became the African-American Priest. Deacon Harold gained much of his life coach experience through his previous campus law enforcement career. He served on the Oregon Attorney General’s School and Community Safety Coalition, and the Marion County Threat Assessment Team. Deacon Harold is a former member of the International Association of Campus Law Enforcement Administrators, the Association of Threat Assessment Professionals, the Protection Specialist Association, and ASIS International. 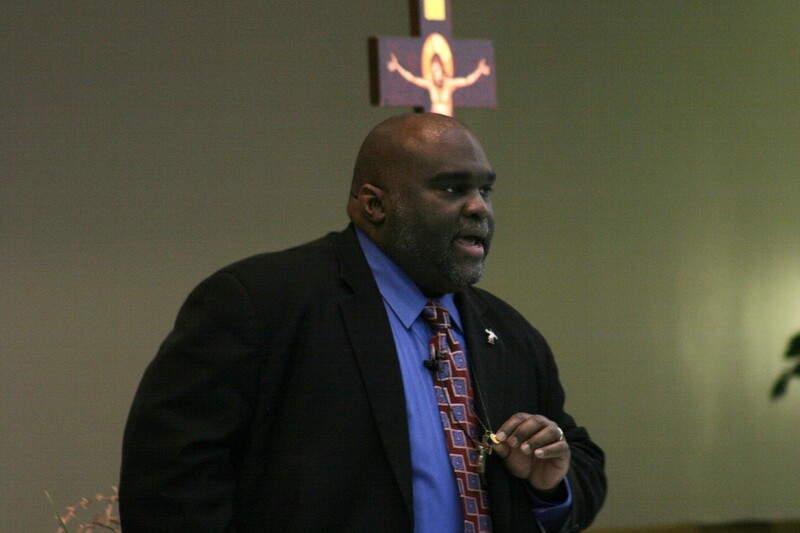 Deacon Harold has trained at the National School Safety Center, the Federal Law Enforcement Training Center, the Crisis Prevention Institute, and the National Association of School Safety and Law Enforcement Officers. He also served as president of the Western Association of Campus Law Enforcement Administrators and on the Board on Public Safety Standards and Training. During this time, life coach Deacon Harold was listed in the International Who’s Who of Professionals and the Who’s Who in the Management of the Leading Foundations, Universities, Museums, and Other Non-Profit Organizations. Life coach Deacon Harold used this training to develop workplace violence and violence prevention programs, and provided expert consulting services in the areas of threat assessment and management, premise liability and crime prediction, integrated physical security systems, crisis and emergency management planning, terrorism, and many others. As the current President and CEO of The Saint Joseph Center, Deacon Harold oversees that nonprofit organization’s endeavors, which include hosting an international institute for Catholic male spirituality, coordinating dynamic speaking tours and life-changing retreats, and developing products and services that support family life. Life Coach Deacon Harold is passionate, serious, and successful. Let him help you take your career, your business, and your life to the next level!